We're all a bit like Tracey Gordon. Awkward, offbeat, secretly harboring lusty thoughts about someone completely out of reach. Yes, that does includes celebrities. 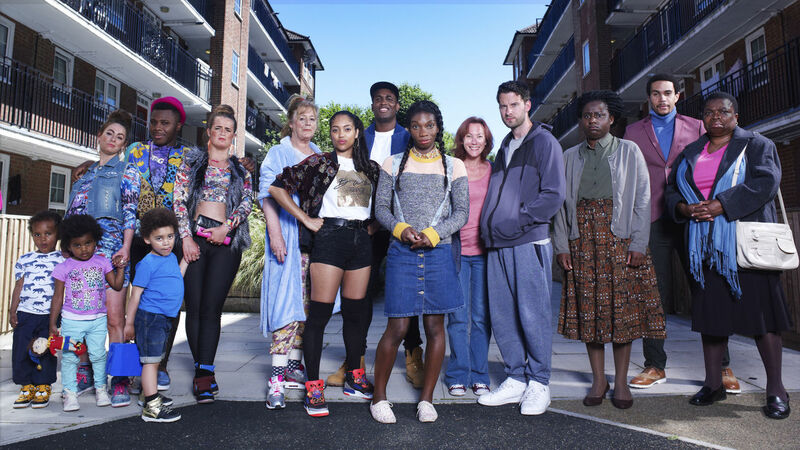 Writer and creator, Michela Coel is back with another season of Chewing Gum. Michaela Coel’s comedy hit Chewing Gum is back again for more laughs, and dropped recently on Netflix. My honest review is that though it was still short at six half-hour episodes, it was equally as awesome as the first. Only difference? This time, I was left thinking about one thing after binging all of Tracey & Co.’s shenanigans in one sitting. She's funny but Tracey keeps it real...sometimes. Gordon, who has a flair for ridiculous antics and a knack for breaking the fourth wall often, offered up a different kind of joke. One that wasn’t really a joke at all. She made a quip about the brutality of police regarding black people in the very first episode. She’s seen on the phone warning her boss who is vacationing in America, not to run because cops shoot you if you appear too black. I didn’t laugh. Not because I thought the comment wasn’t delivered humorously, it was. I couldn’t bring myself to laugh because of the truth behind her words. Even halfway around the world, extreme casualties left behind after police encounters are infamous. Tales of excessive force seem to have reach far beyond this country’s borders to be included as a startling line of dialogue on the last show I thought would ever broach the subject. I have to admit that I wasn’t able to focus on much else throughout that episode because a single question plagued my mind. Can we tell what foreigners truly think of Americans by our character portrayals on TV? London-born main character Tracey has never alluded to setting foot on American soil yet she has formed her own, albeit astute, opinions about what happens here. And she isn’t wrong. I was born and raised in the U.S. and have only ever dreamed of visiting the U.K. I’m sure I have formed my own opinions about what life is like for citizens of that region as well. But how much of these constructs were molded by things I saw on television like Miranda and Doctor Who. I don’t personally know anyone from the U.K. so my only frame of reference came from scripted series or documentary dramas. From accents to dietary differences, what I saw became what I knew and the standard by which I measured every U.K. character. Correct assumption or not. Was Chewing Gum drawing a parallel to what actual foreign residents think of Americans? I think so. And I think they succeeded in being so honest about certain traits U.S. residents seem to have as painted by media like Twitter, Facebook and major news outlets. It’s hard to ignore content from these sources that is constantly pushed down your throat, that’s for sure. Tracey Gordon (Coel) is joined by family and crazy friends during this season too. Cast include bestie Candice (Danielle Waters) and sister Cynthia (Susan Wokoma) . It’s also hard not to write jokes for a popular TV show that reflect the world we live in. Correct assumptions or not. So I’ll leave this question for you to answer. Do you think we can tell what foreigners truly think of Americans by our TV character portrayals?